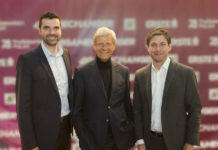 Shortly after closing one of the biggest European tech exits with his company ARM, Hermann Hauser has joined the board of the Austrian startup Anyline as a strategic investor. Anyline is a specialist in mobile text and optical character recognition (OCR). The company’s goal is to enable every smartphone on the planet with OCR in order to recognize and scan all kinds of texts, numbers and codes. Hermann Hauser has just sold his life’s work ARM for € 28.4 billion to Softbank. 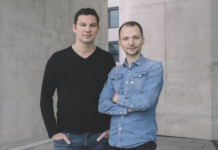 Now he invested €500K in the Vienna-based Computer Vision & Deep Learning startup Anyline. Lukas Kinigadner, the CEO and founder of Anyline, actually grew up just a few kilometers from Hermann Hauser’s hometown in Austria’s western alpine region. 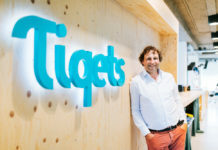 He stated: “We are excited to have gained the trust of a successful entrepreneur with vast experience in our field.” Lukas Kinigadner hopes that this could be an opportunity to attract international attention to the growing tech ecosystem in this part of Europe. The patented Computer Vision technology of Anyline focuses on enterprises as well as software developers. It is offered as a flexible SDK (Software Development Kit) in order to make the technology available to everyone. SDK can be downloaded from the website and simply embedded in mobile applications. The toolkit is currently used for scanning voucher codes in marketing campaigns, utility meters for improving maintenance processes, as well as passports and IDs for verification reasons. Nevertheless, the OCR toolkit can also be easily adjusted to scan custom information at hand by tweaking a few parameters. The biggest customers are Red Bull Mobile, the beer brand Karlsberg, several big utility companies like E.ON and even the United Nations. Anyline was founded in 2013, is headquartered in Vienna, Austria, and has 25 employees. The startup plans to open a sales office in London in the nearest future. Also Anyline plans to move forward in the Augmented Reality industry, integrate with more SDKs and finish their proof of concepts on smart glasses such as the Microsoft Hololens. 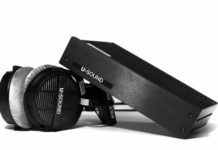 The company has closed its seed round in February 2016 with a €1.5 million investment from Gernot Langes-Swarovski Stiftung, US VC fund iSeed Ventures and well-known European Business Angels Bernhard Niesner, Johann Hansmann and Lukas Püspök.